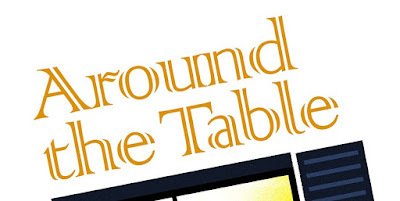 Around the Table Book: Change Up How You Tell Your Gratefulness! 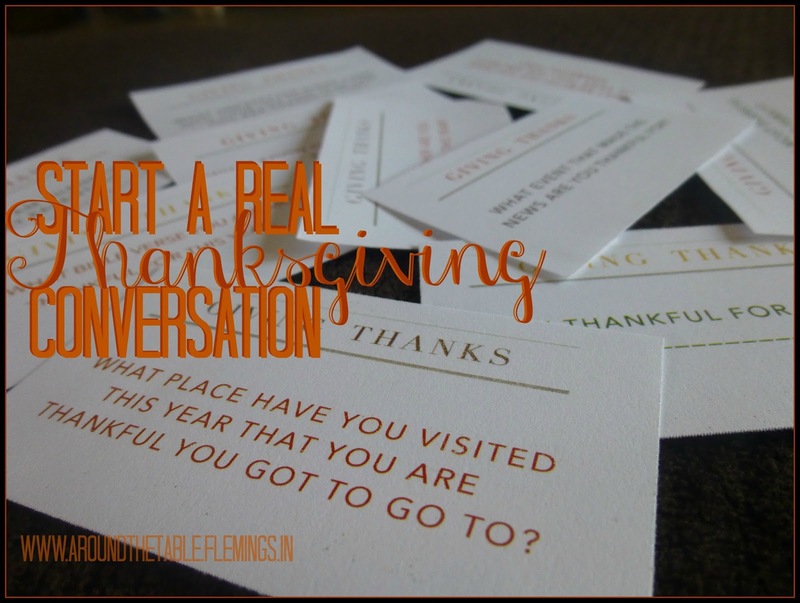 I'm repeating this post from last year because it has good questions to talk about around your Thanksgiving table. 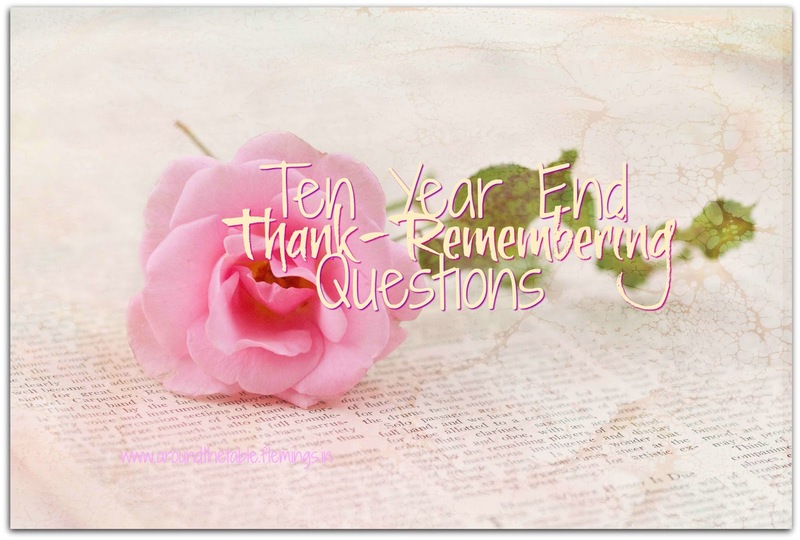 Many people are grateful for these questions! What do you do at Thanksgiving to remind yourselves what you are thankful for? 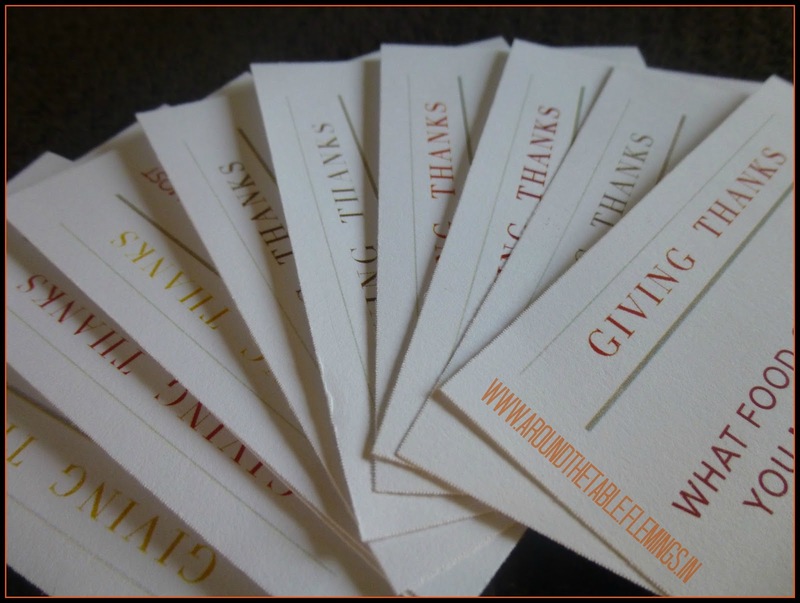 We have done a variety of things to help our kids learn thankfulness at this time of year and to remind our family and guests about the true meaning of Thanksgiving. 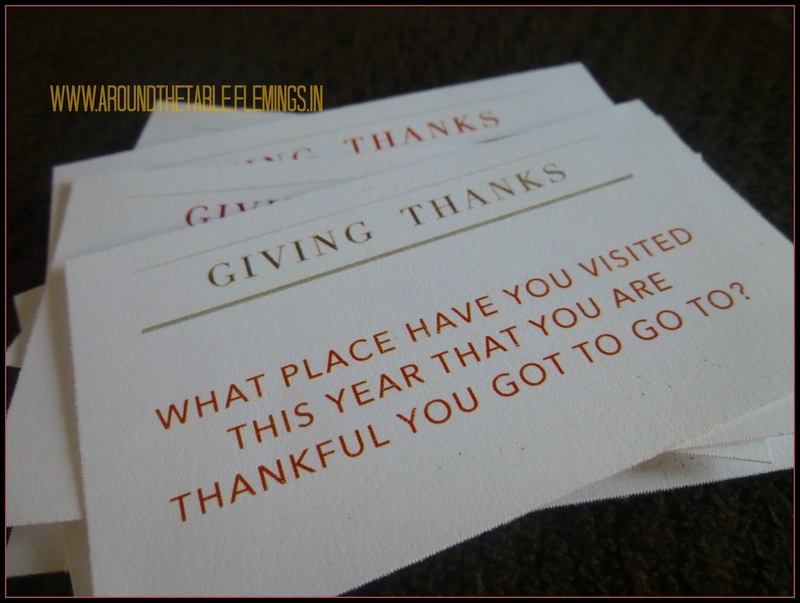 But going around the table to say one or even two things you are thankful for might make you miss out on some of the things that happened in the past year that you do want to be thankful for. That's where specific questions come in. If you have specific questions to ask people, that will open up memories that they might not have thought of otherwise. And as one person begins to share their answer, others around the table will have their memories jarred as well. It also helps keep the conversation upbeat. After the food has made its way around the table or everyone has gone through the buffet line, ask someone (preferably someone who has been a bit forewarned) to read their question and answer it. Tell everyone that the "rules" are 1) no one can make fun of anyone's answer and 2) everyone who wants to can answer the question. Let the conversation flow. But if it starts to flag or degenerate, pipe up and ask the next person to read and answer their question. I've made the questions below available in printable format. If you buy printable business cards such as Avery® Business Cards 28878™ (Avery® Template 8371™) they will print just right or print them onto cardstock and the guidelines will show where to cut to get cards of uniform size. You might want to turn them over and print your guests names on the back to use as name cards. Here is the link to the printable format. What teacher are you thankful for this year? What unexpected event came into your life this year that you are thankful for? Tell about a Bible verse you are thankful for this year. What are you most thankful for about your family? What memory did you make this year that you are most thankful for? What food on this table are you most thankful for? I'm thankful for my job because __________________. One thing I am thankful about my parents is __________________. What place have you been able to visit this year that you are thankful you got to go to? What event that made the news are you thankful for? For more unique ideas to prepare for the holidays, click here for a Thanksgiving Challenge and here for a real life illustration of how much we have and here for the things I did right for our family gatherings last year. Love this! I’m making a gratitude jar today and these are perfect thoughts to go in it! This is great, Sharon! Thanks for going to all this work for us! I'm going to print these out and use them this Thanksgiving! This is a great idea. I love the questions. What a beautiful way to drive the focus back to thankfulness. Thank you!